Thank you dVerse Poets Pub for this inspiring prompt. 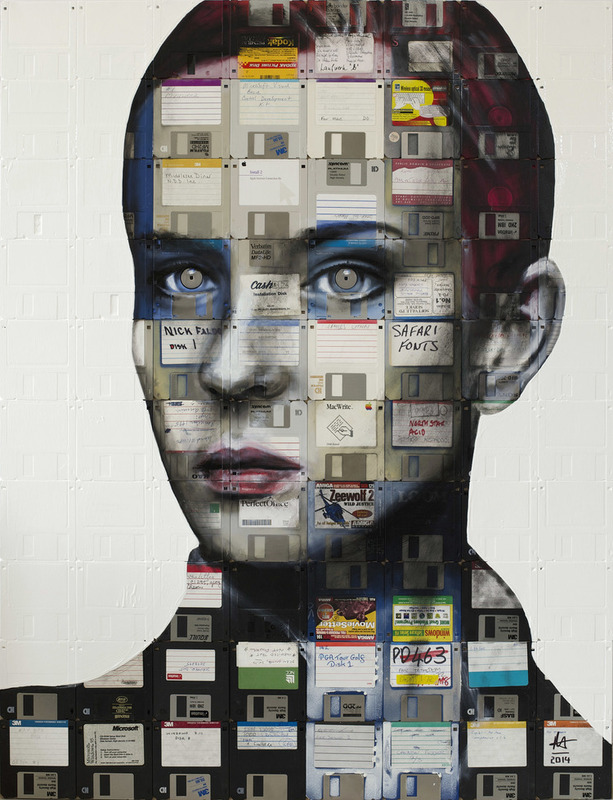 This entry was posted in Art, Poetry and tagged Art, creativity, DNA, dVerse Poets Pub, Nick Gentry, poetry, wholeness, words you've spoken. Bookmark the permalink. LOVE this Sabra! Defining words to start the new year. i guess we down load and assimilate…it is interesting all that comes before us and is encoded in us from the lives of our ancestors….perhaps we carry a little part of them along…..
Ah, each person is ‘whole and perfect’ in his/her own way! All experiences contribute to a perfect whole. Some of us that believe in past lives feel that our DNA is the key to everything, genetic memory, instinct, genius, talent; very creative take on the Artwork prompt. So true, Sabra–that last line is a keeper. Enjoyed much. So true..and even with the medium of T.V… so many voices recorded in our subconscious and all those voices ON STILL.. drifting into the twilight of wake and sleep.. I like how you make us see that we are the sums of the good as well as the bad but that it does not make us less perfect. Thank you, Gabriella. So glad you visited. Nothing is all good or all bad. We are perfect light and perfect shadow, I like to think. Thank you, Imelda. Glad to see you poeming again. Love your photography, too. It’s a little scary, isn’t it? But maybe if more people realized that their words and actions are embedded into themselves, forever, they’d be more careful…? But perhaps I should relax and just read your beautiful poem not as a warning, but as an identification of what makes us whole. Yes, all those things contribute to the whole of us. I like where you took this prompt! Thanks, Amy, for letting me know your thoughts on wholeness. Glad you know Gentry’s work, too. Peace and Joy to you. I understand, Spirit Keeper. Glad you liked my poem and glad you left me a comment. Thank you!